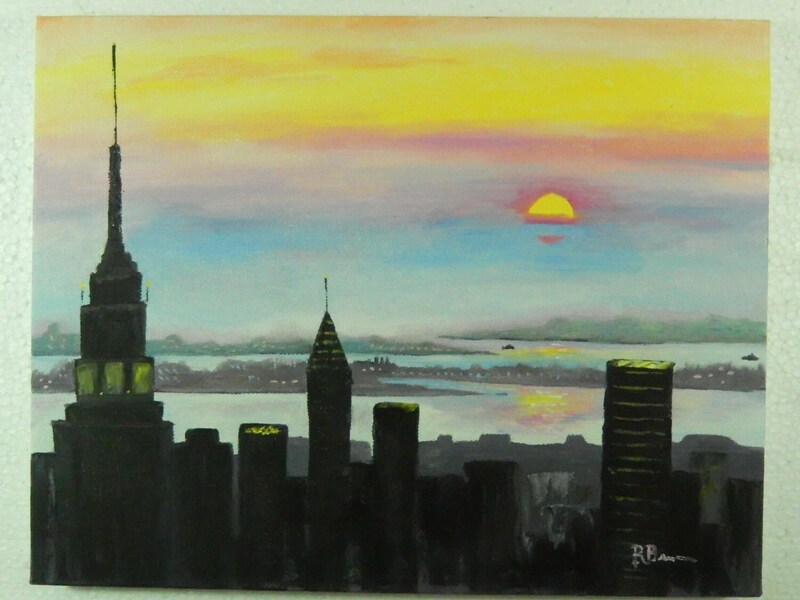 New York City Skyline is an original 11" x 14" oil painting. 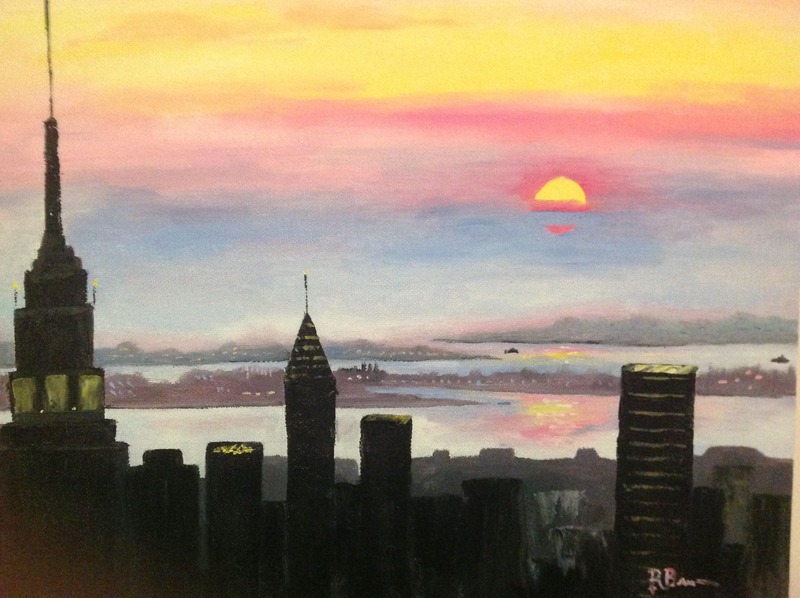 The painting is of the picturesque skyline as the sun is rising. The distant land is misty, with boats going by. The bright sun peeks through the clouds on a beautiful sunrise over the city. The second and third view are closeups of the buildings. 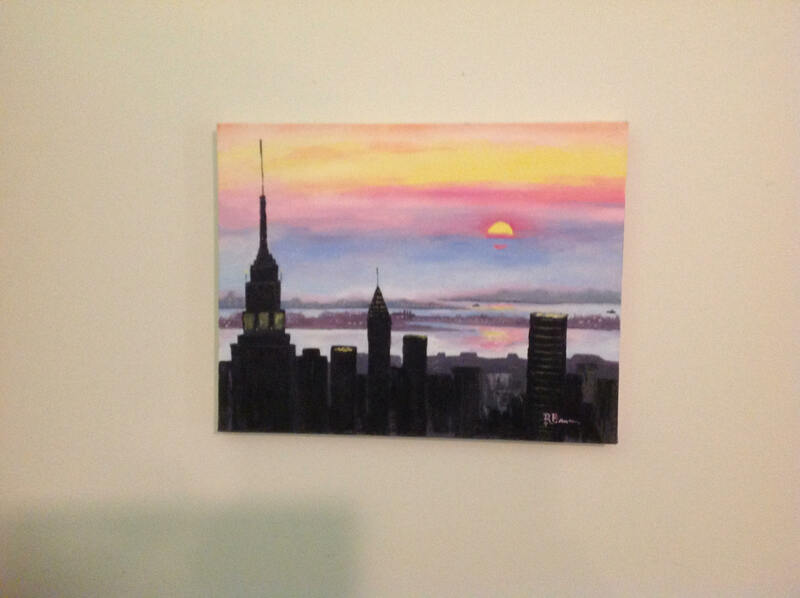 This is a wonderful rendition of the Empire State Building skyline. The rising sun is reflected in the water. Lights wink on in buildings as the city starts to wake up. 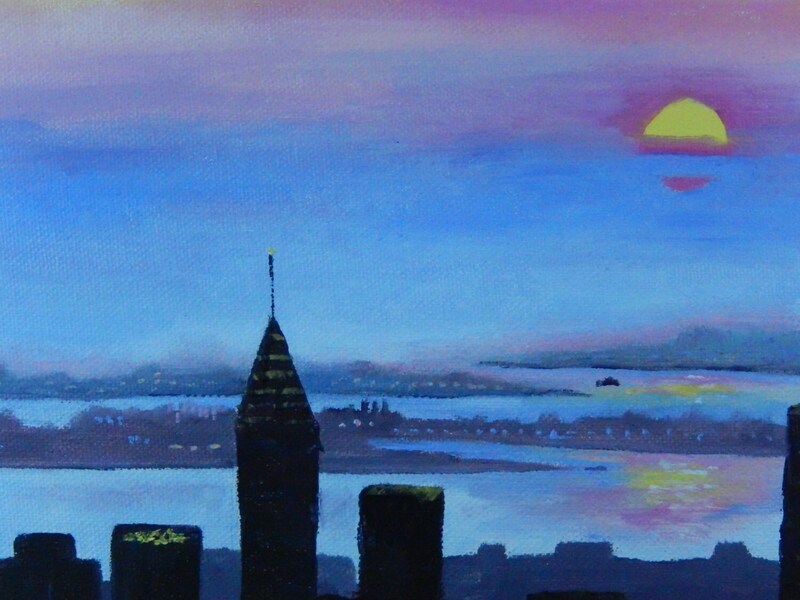 The buildings are in silhouette, as the sun begins to rise over the water. Distant boats can be seen in the harbor.